Once upon a time, in a tiny hamlet called Beverly Hills, I met up with some friends of mine to indulge in some seductive wine. 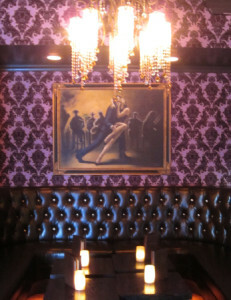 Our rendezvous location was a gilded chamber called The Vampire Lounge and Tasting Room. As legend has it, the wine here is made by vampires who harvest their vineyards deep into the night. Now, when thinking of vampires, images of Gothic castles, red velvet, and creaky coffins come to mind. But this environment couldn’t be further from that. Old-world elegance touched everything. 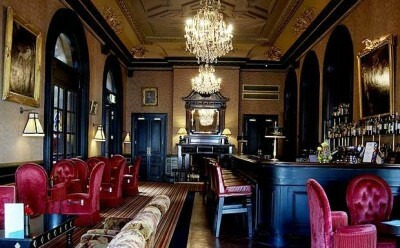 The bar was commandeered by an enormous crystal chandelier. 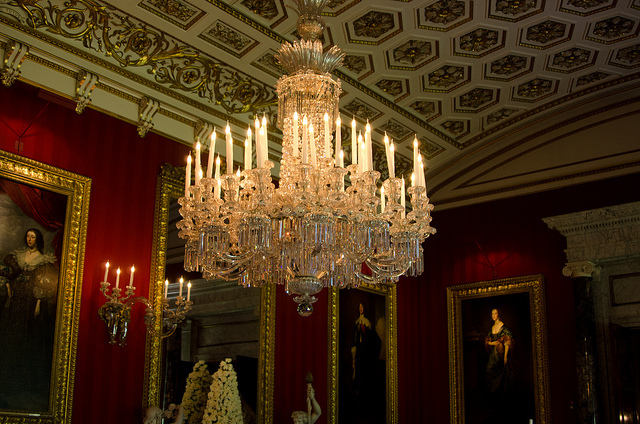 Chandeliers made of crystal provide grandeur and beauty to any room, provided they are used correctly. 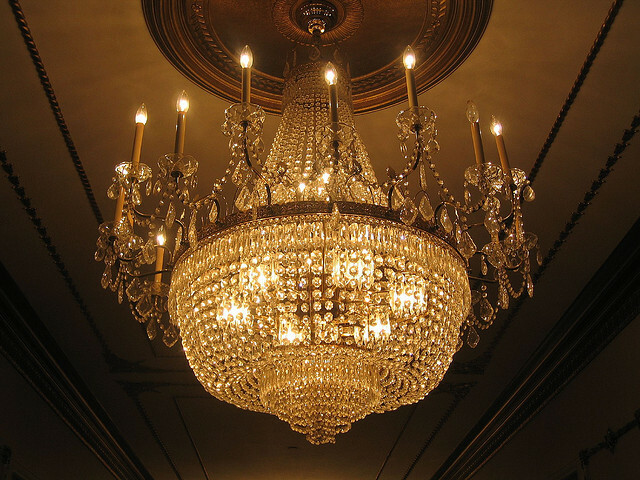 Although chandeliers have been around since medieval times, it wasn’t until the sixteenth century that quartz crystals, with their ability to refract light in various directions, came into play. Shortly thereafter in 1676, British glass artisan George Ravenscroft began experimenting with leaded glass in lieu of crystal. Not only was this alternative much more affordable, but gave off better illumination, soon gaining immense popularity over quartz. A vast jump in lead crystal came in 1892, when famed Austrian jeweler Daniel Swarvoksi developed an easier method for cutting glass using an early electric machine. Many more decorative options became available nearly overnight, elevating the chandelier from a grand light source to a majestic work of art. With the invention of acrylic plastic (used as a glass substitute), even more alternatives came about at relatively reasonable prices. 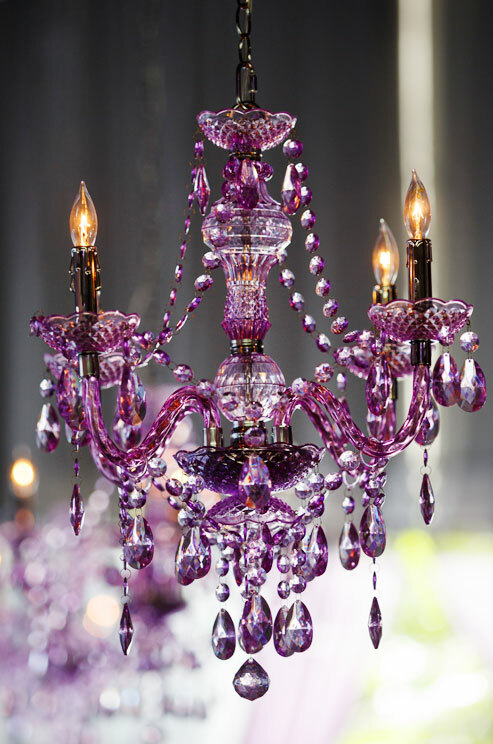 Chandeliers that incorporate crystal into their design combine two elements, earth and fire. The light, or electricity, is symbolic of fire, while the crystals are mined directly from the earth. Both these elements enhance each other in the productive cycle. When these elements conspire in this fashion, a beautiful radiance is created that people are naturally drawn towards. The crystal prisms cascading from the fixture arch light in various directions. This refracted iridescence is highly beneficial for relationships of all kinds because it brings people together. And it’s pretty! 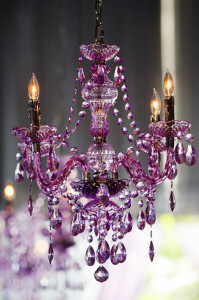 Crystal chandeliers are also symbolic of wealth and luxury. In the beginning, only the very elite or powerful had chandeliers in their home; otherwise they were used primarily in castles and church properties. When crystal and glass were added, these evolved into an even higher status symbol. Hollywood movies and theatrical musicals continued this refined symbolism (think Working Girl or Phantom of the Opera). The crystal chandelier is still considered an icon of high prosperity in many cultures. Yang Energy. 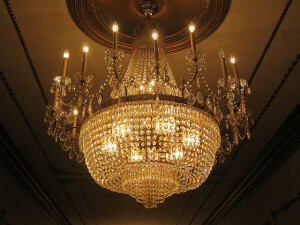 Chandeliers offer warm, yang energy that is constantly moving, due to its connections to fire. The glass incorporated into the design extends the light even further around a space. Use these in areas where lots of activity and action is going to occur. Where should Crystal hang out? Chandeliers of lead glass can work in many rooms. They are beneficial in foyers and entry halls because they cast welcome illumination to all who enter, and immediately suggest that this is a prosperous home. This can also work for living rooms and other gathering spaces in the house. 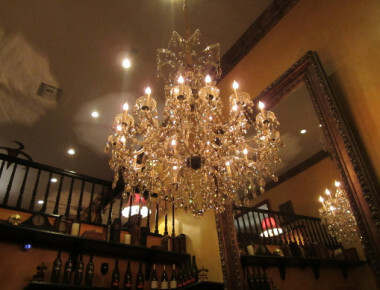 If it’s a public place, such as a store or restaurant, sometimes more than one chandelier will be in attendance. The advantageous light can attract more business, thus more prosperity for the location. The Dining Room. 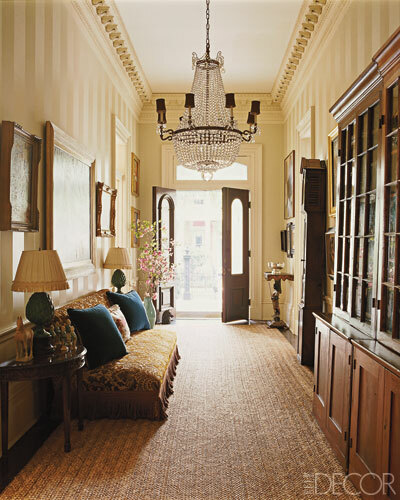 After the entry hall, chandeliers are most commonly seen in the dining room. 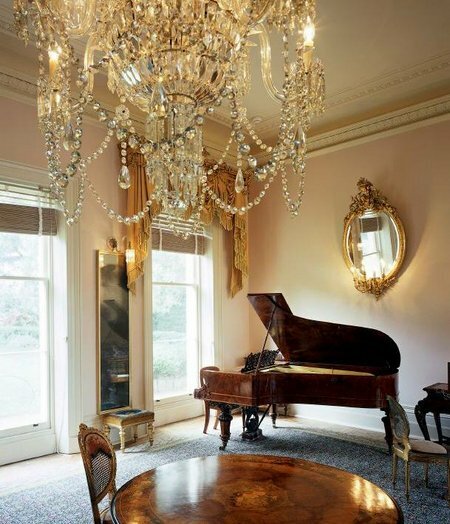 The chandelier should be placed directly over the dining table, usually the center of the room. This will attract people and auspicious energy to the environment, enhancing the dining experience. Also, depending on ceiling height, one is less likely to bump into the chandelier if there is a table marking its perimeter. This same concept can work with kitchen islands as well. No Beds or Baths. While small crystal chandeliers are fine in bedrooms and bathing areas, they should never, ever be directly over a bed or a bathtub. Having something hanging just above one’s reclined figure will make the occupant feel uneasy and always on guard, resulting in negative health issues. Although these two areas wouldn’t be my first suggestion for a chandelier, if it can’t be avoided, try to have them on the complete opposite side of the room from the bathtub or bed. Faux or Real. Most chandeliers today are made with leaded glass in lieu of their original quartz parentage. However, with the invention of acrylic, many more options are available. Leaded glass provides that essential earth element good for the environment. Acrylic is easier to take care of, less expensive, and can have scratches buffed out of it. Short answer: They are both good, one elementally and one aesthetically. Chandelier Upkeep. Remember that these should be dusted on a regular basis, and burnt out bulbs should be replaced as soon as possible. Letting these issues continue can dim the chi emitting from the crystals. Crystal chandeliers are highly auspicious for nearly any environment for attracting prosperous and social energy. While my current home has no room for a chandelier at present, I do hope to have one someday. 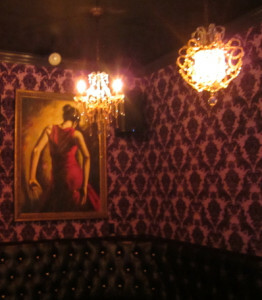 Until then, I will get my fix by enjoying a glass of Cabernet under the candle glow of the illustrious Vampire Lounge. This entry was posted in Bathroom Feng Shui, Bedroom Feng Shui, Dining Room Feng Shui, Feng Shui and Art, Lighting, Living Room Feng Shui and tagged acrylic, art, bathtub, bed, Beverly Hills, candle, chandelier, Colin Cowie, crystal, Daniel Swarvoksi, dining room, earth, entry hall, fire, foyer, George Ravenscrof, Gilmore Girls, glass, Gothic, Guy Mankowski, illuminate, lead, lead crystal, lead glass, Letters to Yelena, light source, living room, luxury, Phantom of the Opera, prosperity, quartz, restaurant, Vampire Lounge, vampires, wine, Working Girl, yang. Bookmark the permalink. All shapes have a good and not-so-good connotation. Spirals, generally, are not good feng shui (especially for staircases), as the spiral shape shoots energy out quickly in a non-beneficial way. However, it also depends on how tight the spiral is. 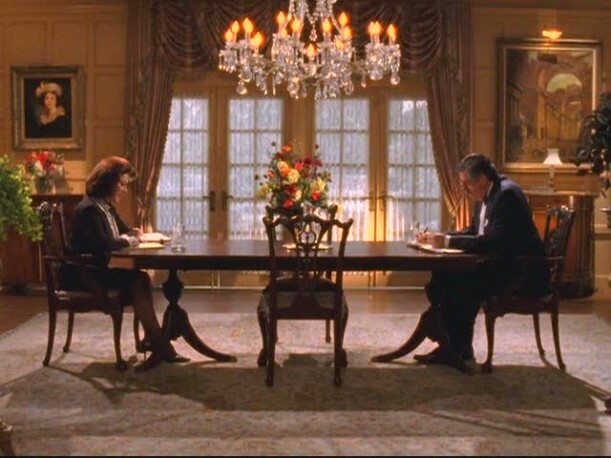 I would need to see a photo of these chandeliers to give you a more concise answer. Feel free to email me at shaunmathieusmith@gmail.com if you have further questions.